Kilpisjärvi Atmospheric Imaging Receiver Array: Where is Kilpisjärvi? As we've mentioned before, KAIRA will be built at Kilpisjärvi (after all, it's in the name!). However, the Sodankylä Geophysical Observatory is — yes, you guessed it — located in Sodankylä. So, in response to the call for a more enlarged map (compared to our EISCAT/LOFAR/KAIRA overview map), today's web log entry does just that. 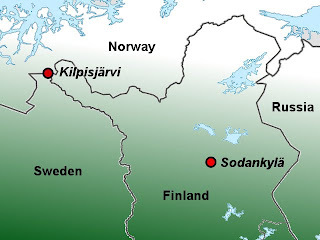 Zooming in on the Lapland area, both Kilpisjärvi and Sodankylä are clearly marked and show that KAIRA is right there in the corner of Finland, quite a way from SGO. Kilpisjärvi (Northern Sami: Gilbbesjávri) itself is actually a small settlement in the north-western part of Enontekiö municipality. 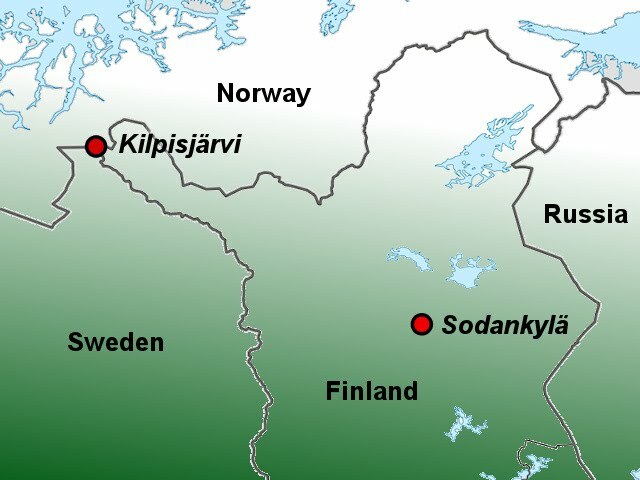 That small patch of Finnish territory wedged in between Norway and Sweden is known as the Finnish arm of Lapland and Kilpisjärvi is at the end of it. The settlement is quite small, with less than 100 inhabitants. It is an isolated part of the world, with the next nearest settlement over 40 km away. 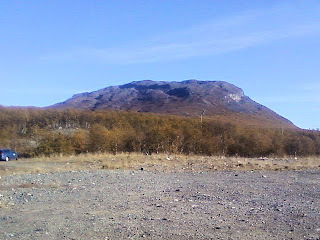 Still, it is recognisable place, perhaps because of its famous landmark: Saana (Northern Sami: Sána). This fell towers some 556 metres above the nearby Kilpis lake and its summit is a total of 1029 metres above sea-level. It is clearly visible from the KAIRA site as this photograph shows, taken at the end of the 2010 summer, when we did the site survey. It is absolutely clear that many of the best photographs of the KAIRA project that will be posted this year will feature Saana in the background! At this time of the year however, it breaks through winter’s silent grip on the landscape and stands there as an imposing Arctic sentinel; a natural fortress for trolls, giants and other creatures of Nordic mythology. 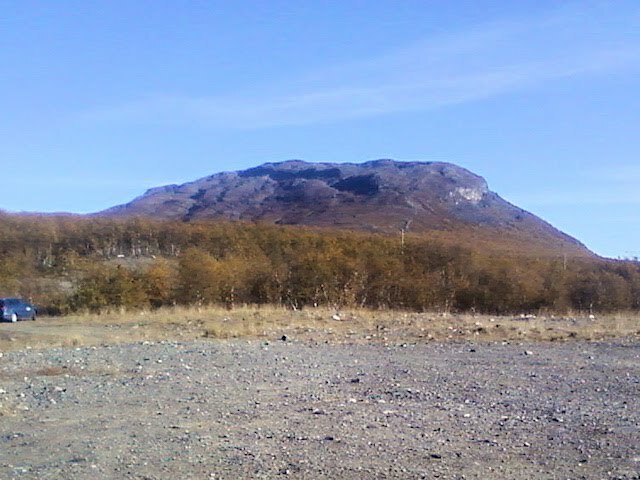 I wonder if there are any Sami legends about this beautiful fell?